Anthony Roth, PhD, is Joint Course Director of the Doctoral Course in Clinical Psychology at University College London (UCL). He has contributed to the development of clinical training both in London and at a national level, and has worked in hospital and community settings for over 20 years. 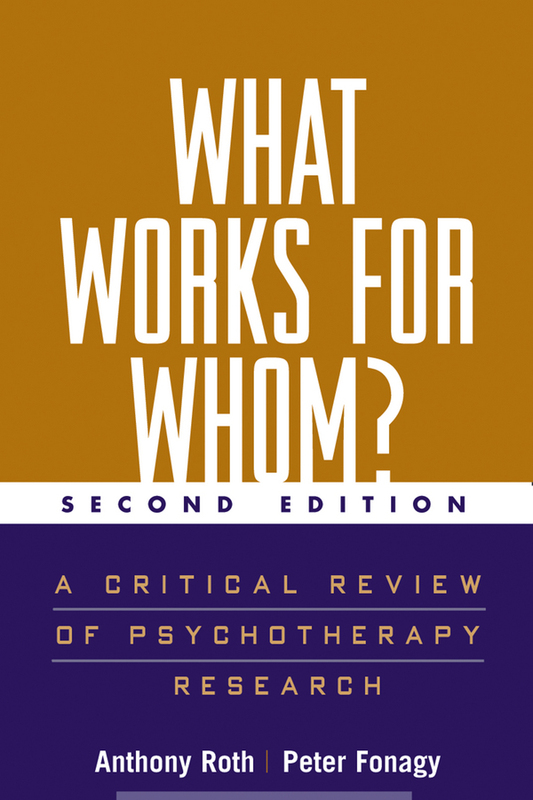 Dr. Roth (along with Peter Fonagy) was commissioned by the English Department of Health to identify evidence for the impact of the psychological therapies, a review that emerged as the first edition of What Works for Whom? His recent research has focused on patient and therapist attachment patterns and the therapeutic alliance, the impact of therapist attachment patterns on therapist behavior, and the application of family interventions for people with schizophrenia. Peter Fonagy, PhD, FBA, is Freud Memorial Professor of Psychoanalysis and Director of the Sub-Department of Clinical Health Psychology at UCL; Chief Executive of the Anna Freud Centre, London; and Consultant to the Child and Family Program at the Menninger Department of Psychiatry at Baylor College of Medicine, Houston, Texas. Dr. Fonagy is also a clinical psychologist and a training and supervising analyst in the British Psycho-Analytical Society. His work attempts to integrate empirical research with psychoanalytic theory, and his clinical interests center on issues of borderline psychopathology, violence, and early attachment relationships. His recent books include Attachment Theory and Psychoanalysis.